A spacious double deluxe room, located on the first floor. This en-suite room has a front-facing view of Aberystwyth's bustling high street, and is perfect for a romantic getaway. 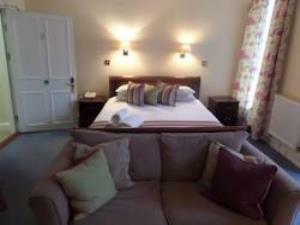 It is minutes from the beach, and Aberystwyth shopping.